The International Mineralogical Association (IMA) continues to recognize new carbon-bearing minerals, thanks to the work of the Deep Carbon Observatory and its Carbon Mineral Challenge (see “The Carbon Mineral Challenge”, Rock & Gem, May 2016). 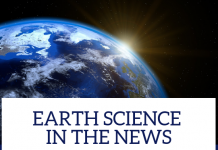 The Deep Carbon Observatory, made up of an international group of scientists, is conducting a global research program designed to better understand the chemical, physical and biological nature of the earth’s carbon-bearing systems. Part of this program calls for identifying as many new carbon-bearing minerals as possible. Although mineralogists now recognize more than 400 carbon-bearing minerals, they believe that about 130 more still await discovery. Launched in December 2015, the Carbon Mineral Challenge encourages both mineralogists and amateur mineral collectors to help track down these “missing” carbon-bearing minerals. Among the discoveries of the past year are: abellaite, a basic sodium lead carbonate from Spain; tinnunculite, a hydrous uric acid from Russia’s Khibiny Massif; marklite, a hydrous copper carbonate that was found in a German mine dump and identified from only a single specimen; middlebackite, a hydrous copper oxylate from Australia; parisite-La, a calcium lanthanum fluorocarbonate from Brazil; and stracherite, a fluorinated barium calcium silicate phosphocarbonate from Israel’s Negev desert. The last four new carbon-bearing minerals all contain uranium. Two are from the Czech Republic: braunerite, a potassium calcium uranyl carbonate; and ewingite, a hydrous magnesium calcium uranyl oxycarbonate that is the most structurally complex of all minerals. The other two, both from Utah, are leószilárdite, a hydrous sodium magnesium uranyl carbonate, and markeyite, a hydrous calcium uranyl carbonate. The Carbon Mineral Challenge will end in September 2019. 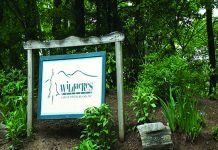 Until then, mineral collectors still have a chance to help discover a new carbon-bearing mineral. The scientists associated with the Carbon Mineral Challenge advise collectors with unusual specimens that they cannot identify to first seek assistance from more experienced collectors, gem and mineral clubs, rock shop owners, museum curators, or earth science instructors at nearby universities. If the mineral still cannot be identified, the collector should contact a Carbon Mineral Challenge mineralogist and provide a physical description and digital image of the mineral, along with locality information. 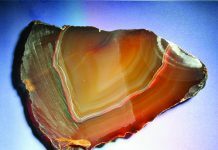 If the mineralogist can identify the mineral, he or she will inform the collector. If not, the mineralogist will ask for a small sample for chemical and structural analysis. If the sample appears to represent a new carbon-bearing mineral, the mineralogist will, on behalf of the collector, submit a “new-mineral” proposal to the IMA. If the IMA approves, the mineralogist and the collector will together suggest a name for the new mineral. 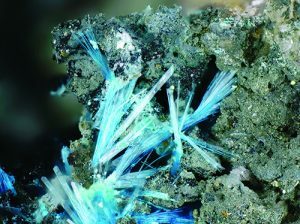 The Carbon Mineral Challenge website provides contacts for associated mineralogists to help with mineral identification. It also offers clues about likely places to search for new carbon-bearing minerals, and even suggests what they might look like. Although they can have any form or color, most will likely appear as small, colorless, relatively soft crystals or crusts in association with other carbonates. New minerals could be found at field deposits and mine dumps, or in the collections of museums, universities, mineral dealers, and individuals. 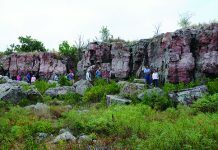 Participating in the Carbon Mineral Challenge is an interesting and educational experience for both individual collectors and gem and mineral club members. 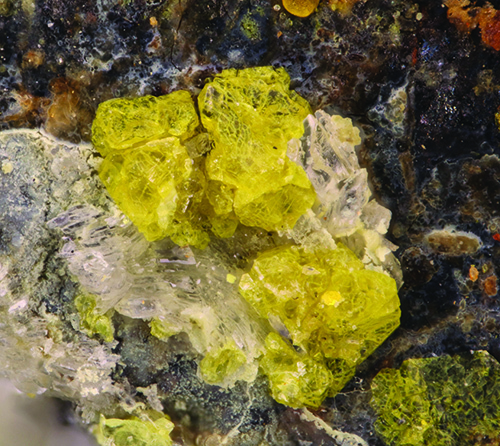 Many clubs have extensive collections that just might harbor an unidentified carbon-bearing mineral. But whether you search for new carbon-bearing minerals or not, be sure to check out the Deep Carbon Observatory and Carbon Mineral Challenge websites, which provide information about carbon-bearing minerals and the complex role of the earth’s carbon cycle—a timely topic given current concerns about climate change. Amateur collectors who help to discover a new carbon-bearing mineral will have contributed to a greater understanding of the earth’s carbon cycle, and may even end up with a mineral named in their honor. To get started, visit the websites of the Carbon Mineral Challenge: https://mineralchallenge.net and https://missingminerals.net.